[12 Days of Christmas] On the Ninth Day… [Take 5] Christmas Episodes! Hey everyone, today we are looking at 5 Christmas Episodes and whether they are worth your half-hour! Let’s begin! 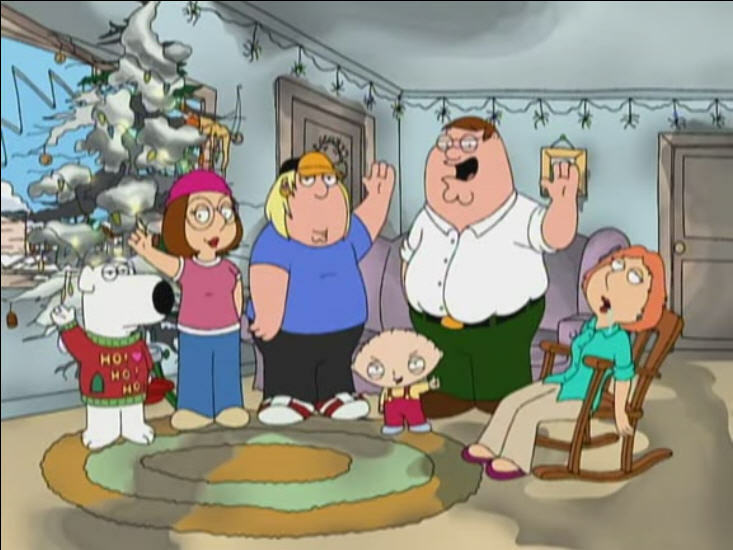 It is Christmastime in Quahog and Lois (Alex Borstein, TV’s MadTV, A Million Ways to Die in the West) is dedicated to getting her family the perfect Christmas. It doesn’t go over well when Peter (Seth MacFarlane, TV’s Robot Chicken, Ted) drops off the family’s gifts at the donation for in-need families, Stewie takes his roll as Baby Jesus in the Nativity scene too far, and Brian burns the turkey. Lois has to come to terms with an imperfect Christmas for the Griffin family. I like this special. The call-outs to other stranger Christmas specials are quite interesting, as seen with Kiss Saves Santa. I also happen to think a lot like Lois here. I want the perfect Christmas for my family and it never actually happens the way I want. It is a cute little detour for the Griffins, made before the series cancellation and long before the onset raunchiness began. As Shirley (Yvette Nicole Brown, TV’s Pound Puppies, (500) Days of Summer) tries to keep the peace and the holidays in check, Jeff Winger (Joel McHale, TV’s The Soup, A Merry Friggin’ Christmas) decides that Christmas is the right time to fight the school bully. As far as Christmas episodes go, this one is more forgettable. A fine episode, to be sure, but not a regular yearly tradition. Wait until Season 2’s special. It is time for the yearly Christmas “Living Classics Pageant” in which famous artworks are reenacted for the public. 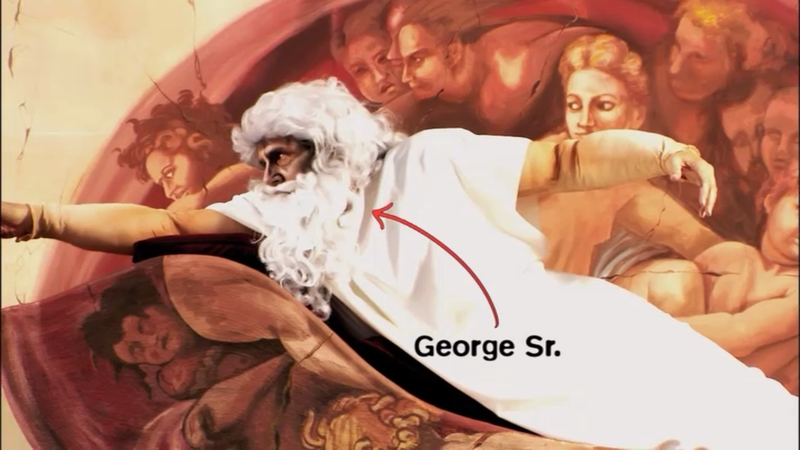 George Sr. (Jeffrey Tambor, TV’s Transparent, The Hangover) always plays God and Buster (Tony Hale, TV’s Veep, Stranger Than Fiction) always plays Adam in The Creation of Adam, but with George Sr. in jail, the family needs to front the money to get him out for the day, but is he just trying to escape? This is a classic episode for fans of Arrested Development. For all others, this episode has too many intersecting plotlines from previous episodes. 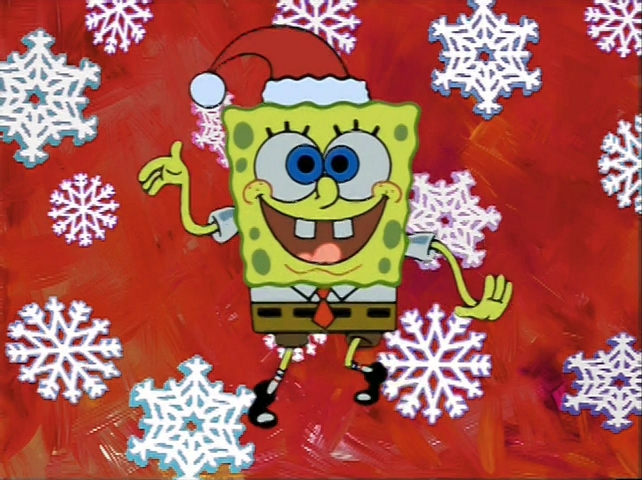 Spongebob hasn’t heard of Christmas. Until Now. Now he wants it more than even, but unfortunately Squidward has become a certifiable Grinch. What is Spongebob going to do? I love this episode. Not only does it have a catchy song to accompany it, but it has a nice lesson about what’s important to others. Watch this one! 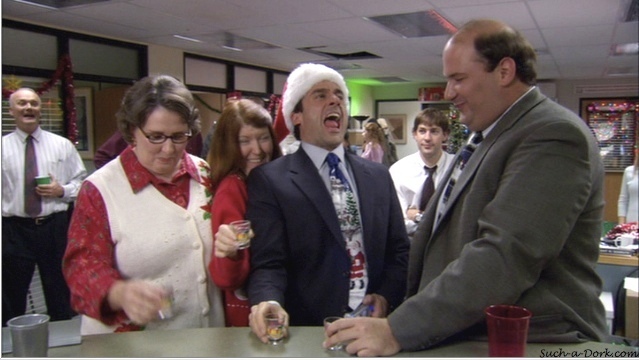 When Michael Scott (Steve Carell, Crazy Stupid Love, Foxcatcher) decides to break the rules to Secret Santa, he has to fix the situation by breaking the rules again: by breaking corporate’s policy of no alcohol at the Christmas party. Another great episode! We have all has that boss, and we have all had that Christmas party, and we have all received that gift. The real winners here are Spongebob Squarepants and The Office, not to mention Family Guy. The other two episodes are great for fans only. What’s your favorite Christmas episode? Let me know! 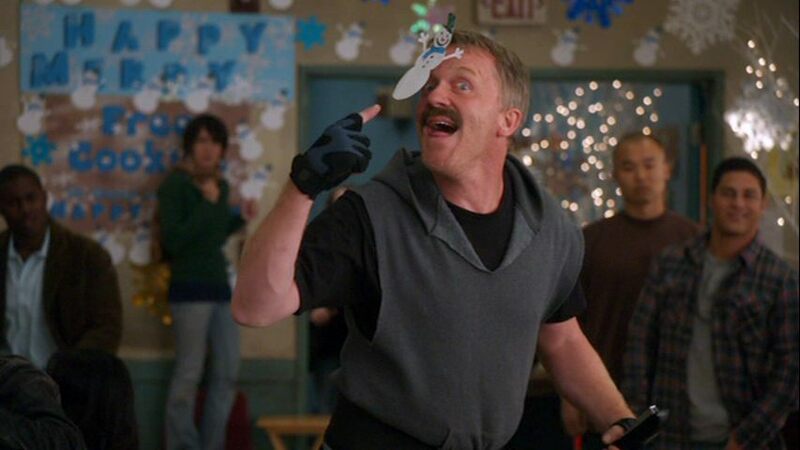 [12 Days of Christmas] On the Tenth Day… How to Celebrate Festivus!